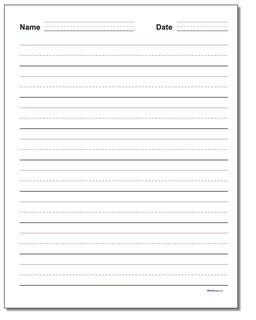 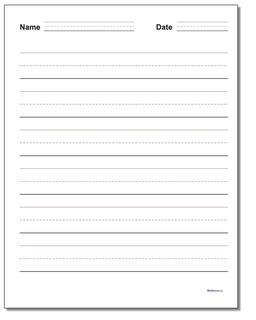 The homework paper template on this page is meant to help preschool, kindergarten or early elementary grade students who are learning their handwriting skills and need guide lines. 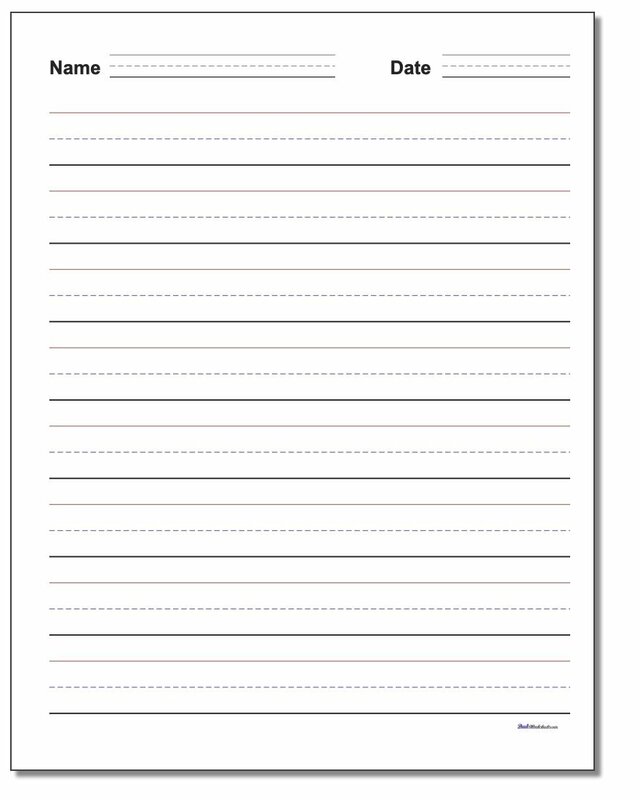 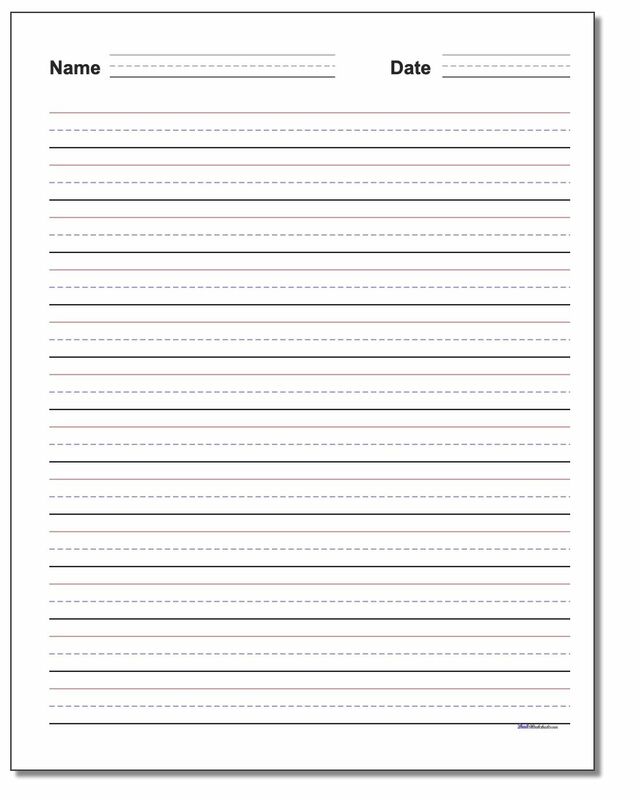 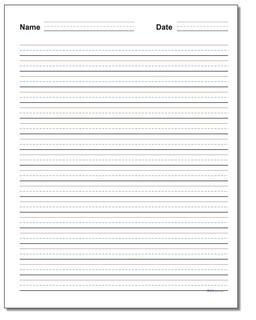 Each paper template includes a name and date at the top of the page in the same 3-line format to encourage students to properly form the letters in their name.These templates have the traditional three-line layout used to learn block or cursive letter shapes. 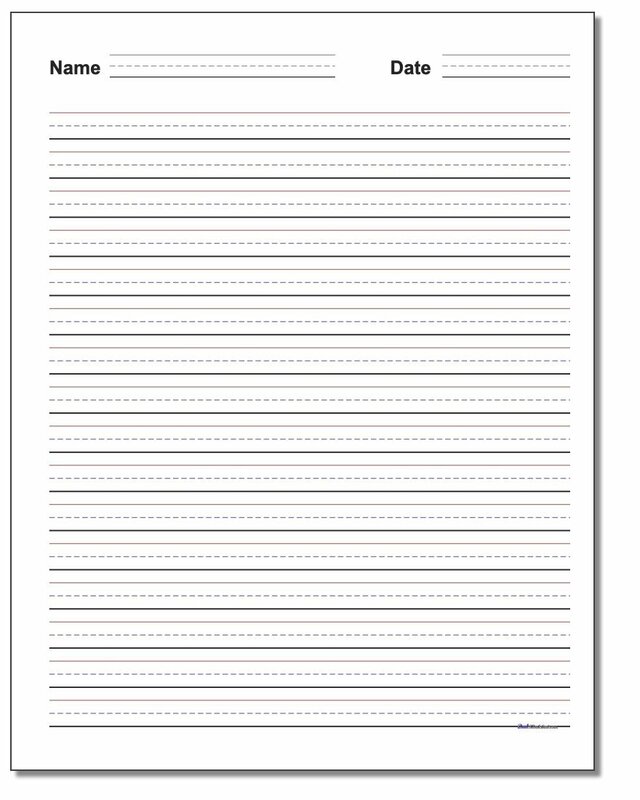 There are variations with different line heights, including 1 1/2 inch, one inch, three-quarter inch, half inch, eighth inch and quarter inch heights. The three line format has a darker baseline to emphasize the correct placement of letter shapes. The dashed mid-line is lighter, and the top line is red to emphasize that letter shapes should not go past this edge.